Please join us for the launch of a new national integration campaign in the UK: PARTICIPATE. iNTEGRATION. 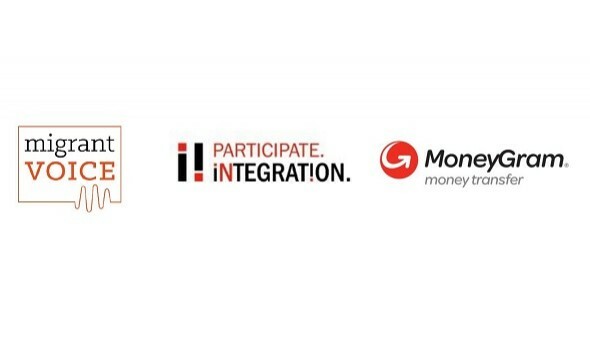 Migrant Voice, is teaming up with MoneyGram on the national initiative where non-government organisations supporting the integration of migrants and refugees can submit funding applications through the campaign website. The launch of the initiative will take place on Tuesday 13 November, 6-8pm, at Migrant Voice, 200A Pentonville Road, London N1 9JP. Migrant Voice and three other organisations around the country will deliver the first projects funded as part of the new national initiative. Migrant Voice’s project involves the production of a series of videos in cities around the country. PARTICIPATE. iNTEGRATION is the first time we have worked with business organisations but it is a crucially important moment in Britain. Brexit and political upheavals around the world have put migration in the spotlight and whatever happens politically in the next few months the lives of hundreds of thousands of migrants will be affected – and so will the lives of the British people. The UK campaign originated in Germany with the support of two German organisations, Kalic Media and IT Hilft, which are also backing the initiative in the UK.